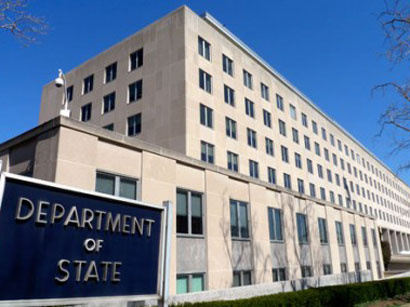 US Principal Deputy Assistant Secretary for the Bureau of South and Central Asian Affairs Alice Wells will travel to Baku on June 27-29, to take part in a meeting of the International Contact Group (ICG) on Afghanistan, the US Department of State said in a message June 27. “On the sidelines of the ICG meeting, Principal Deputy Assistant Secretary Wells will meet with senior Azerbaijani government officials to thank them for Azerbaijan’s continued support to the Afghan government and NATO’s Resolute Support Mission in Afghanistan”, the message said. The ICG is a platform for discussions on assistance to the development of Afghanistan and the region in which it is located. The ICG was established in 2009, bringing together 60 states and organizations, including Azerbaijan. Together with Afghanistan, Germany acts as co-chair country of the ICG. About 90 representatives of ICG member countries and international organizations will participate in the upcoming meeting, adding that representatives of government and non-government organizations of Afghanistan are also expected to participate in the meeting.